Here at Street Scenes Automotive we have been promoting our CQuartz finishes and we are proud to have completed a 2013 Mini Cooper S owned by Ryan K. Ryan has been a dedicated client of Street Scenes Automotive because we have built a solid foundation of trust with him and he knows our workmanship is top quality, as we take pride in our work and are against shortcuts of any kind. During the CQuatz Coating process we took pictures and video of the different stages and procedures we practice. 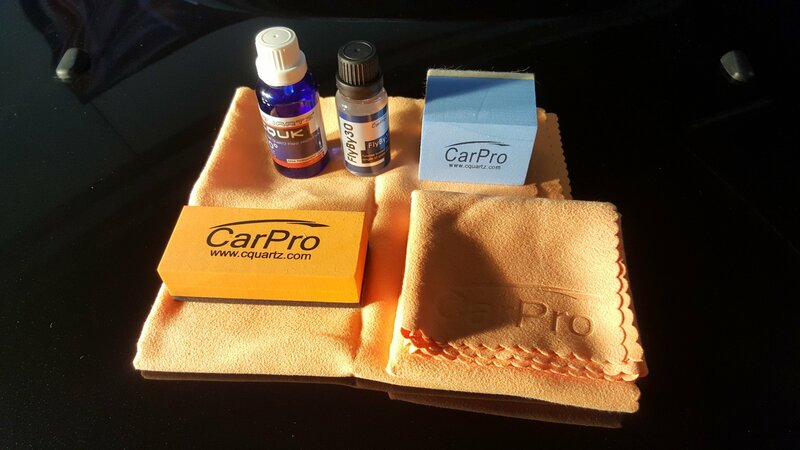 Below I will list the steps taken to prepare Ryan’s Mini Cooper for the CQuatz Coating and the application of the CQuartz Coating to give everyone an idea of what really happens behind the scenes. 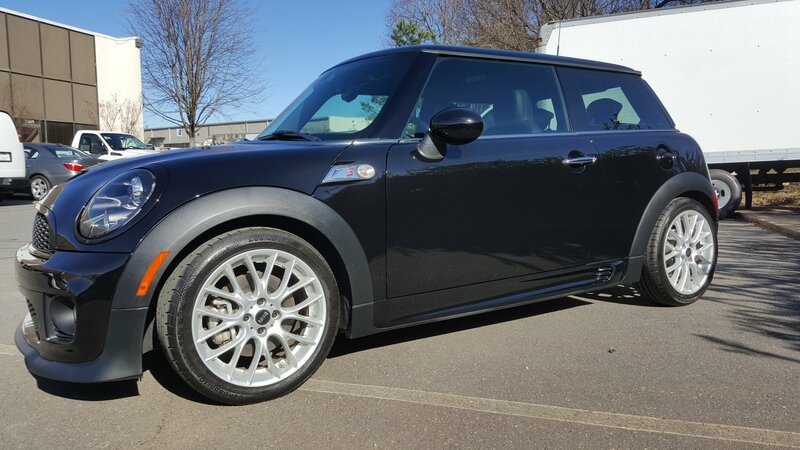 Here is a before shot of Ryan’s 2013 Mini Cooper S when it was delivered to our shop. As you can see there are two racing strips up the middle of the hood and the trim pieces of the grille and headlights are chrome from the factory. 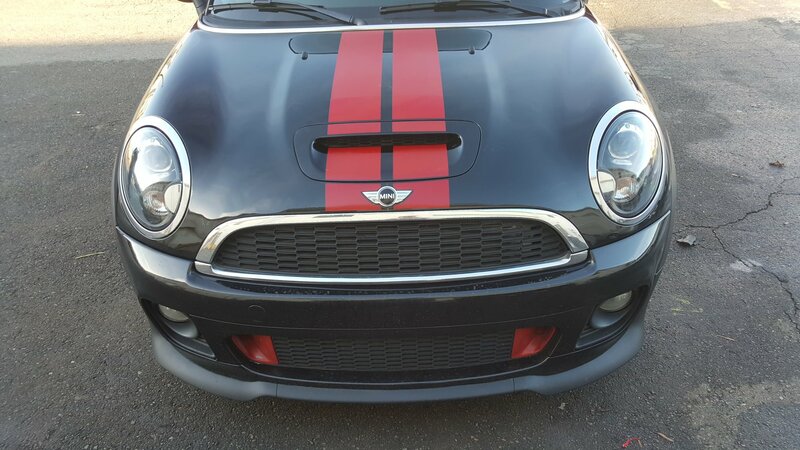 Ryan asked that we remove the racing stripes as well as apply a gloss black finish to the chrome trim pieces around the grille, headlights, rear view mirrors, gas cap, and rear brake lights to match the car. 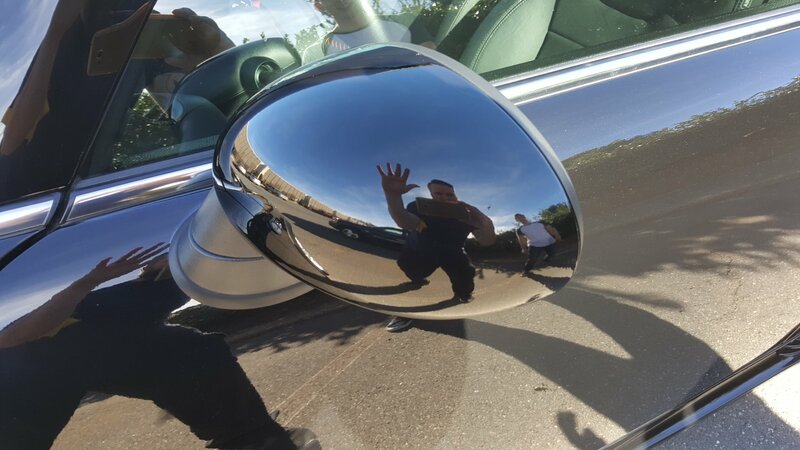 Here’s another before picture of the driver side of Ryan’s 2013 Mini Cooper S. As you can see the rear view mirrors are red in color and the gas cap is chrome. Keep in mind this is a very clean and nice car but, we’re gonna make it look even better once completed. Next step is get this beauty in the shop and wash it down so we have a clean canvas to work on. After we washed the Mini Cooper to remove all of the dirt and road grime we assessed the contamination in the paint to get an idea of what we needed to be prepared for when we are ready to polish and buff the paint. 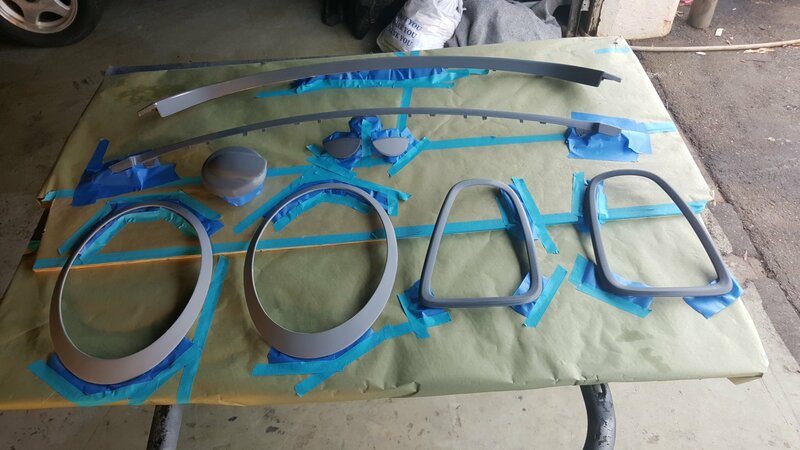 Next we removed all of the trim pieces and sand blasted the chrome off to prepare them for the gloss black paint which will match the color of the Mini Cooper. Here you can see the trim has been sand blasted and primed ready to be sprayed. This is one tedious task as everything must be perfectly prepped with no flaws or imperfections because any mistakes will show in the finished customization. Here’s a picture after the trim pieces have been sprayed. Looking good! 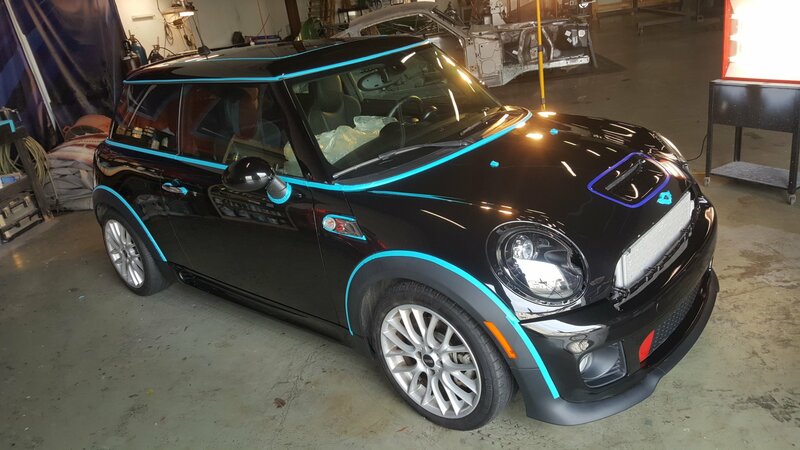 Now that we have the Mini Cooper washed and the trim painted its now time to tape everything up so that we don’t get any contaminants on or behind any of the existing trim still on the car. This procedure allows for clean work to be done and none of that left over goop usually seen after having your car waxed. 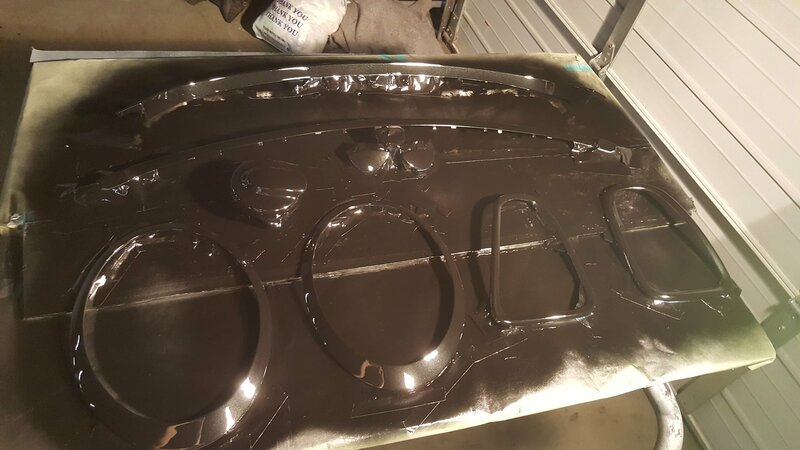 At Street Scenes Automotive we leave no goop behind and no crud in the seams. 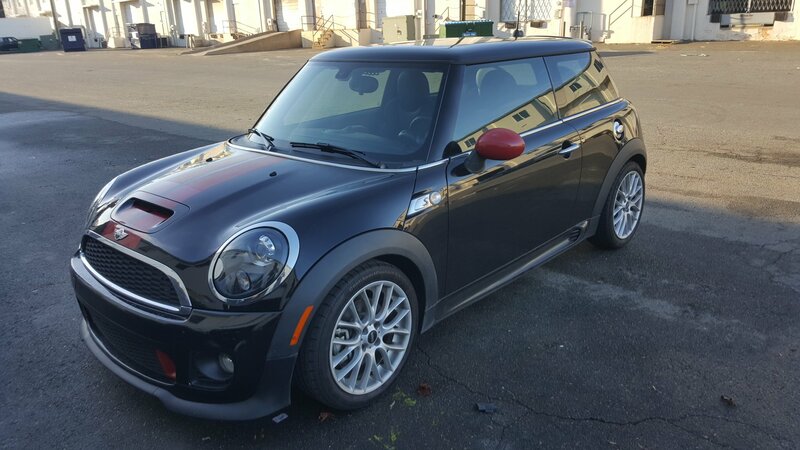 The next steps are polish, buff, any touch up painting, and thoroughly cleanse the Mini Cooper with Flyby30 from top to bottom. Take a quick peek at the first application of CQuartz starting at the hood. We will repeat this process on the entire car 5 times to ensure quality workmanship. 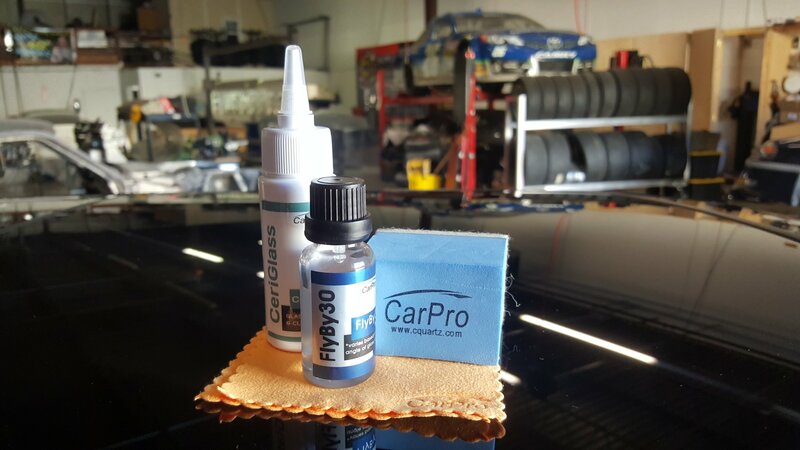 Here’s a quick snap of the materials we used on Ryan’s Mini Cooper S. CQuartz is a Car Pro product and we take pride in knowing that we work with quality materials and are backed with a 100% guarantee! We also used CQuartz Flyby30 and CeriGlass on all of the exterior windows of the Mini Cooper. At Street Scenes Automotive we recommend coating not only your cars paint but, the windows as well. 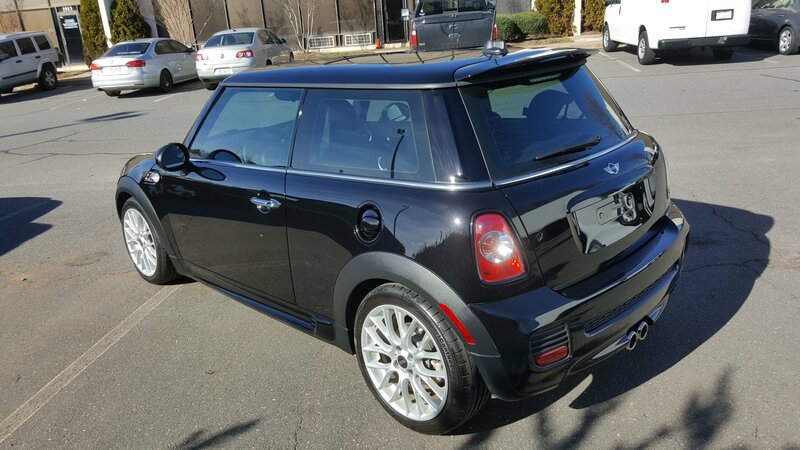 Here’s a rear side shot of the finished Mini Cooper S. Notice there are no swirl marks in the paint and the rear tail light trim matches the cars paint. Here’s a driver side shot of the Mini Cooper. Look at the head light trim, rear view mirror, and gas cap, nicely done! You can see the reflection of the asphalt and bushes behind us. Here’s a picture of Rick showing off his reflection by waving at the camera. The rear view mirror looks like black chrome! 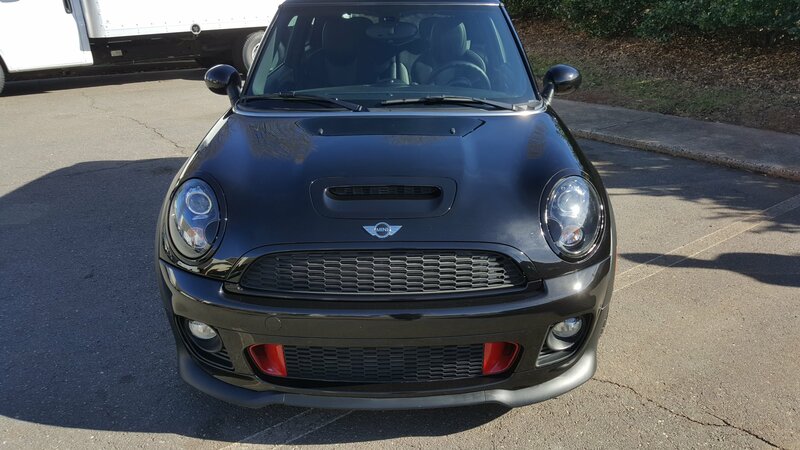 Here’s a front side peek at the Mini Cooper. You can see the reflection of the tree’s behind us! Perfection is perfected! 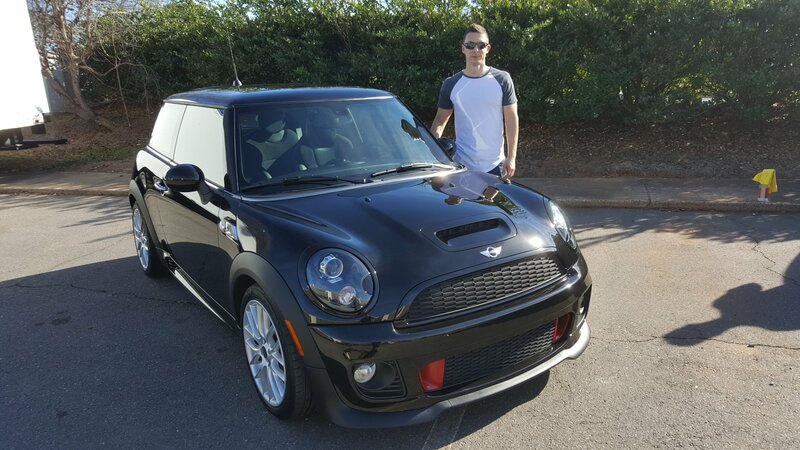 Ryan K. stands proudly with his 2013 Mini Cooper S that has been customized with gloss black trim to match the color of the car and CQuartz Coating to protect the Mini Cooper’s paint and windows! Another happy customer of Street Scenes Automotive!